I have not posted recently because I have been swamped with holidays, homeschooling, running an American Heritage Girls troop, & my most recent endeavor of becoming a Wellness Advocate for doTerra Essential Oils. I have been using doTerra oils for about 6 months now & cannot express fully how much I love these oils and products. They are so fun to use, interesting to learn about & are a great value for family health & wellness. When I was at a Homeschool Convention last spring, I attended a seminar on how Essential Oils could help within the homeschool. I found it fascinating & afterwards, I did a lot of research on oils and exactly how they work, and how they could help the homeschool problems I had been having with my kids (namely attention, focus & attitude). I have to say, that honestly, the attitude problems still are present, even with the EO’s, but the focus and attention is becoming better. However, I am not very diligent in using them regularly. We use them when the situation is already problematic, rather than as a preventative measure. That is MY issue in consistency, but I haven’t found the right combo that works for all of us yet. When I do, I will be sure to share! While the school thing is still a bit rough, even with oils, I have found many many other uses for them that I do find work extremely well for our family. I do believe that this is one facet on our new journey to wellness that has been placed in my path by God. It has been an answer to prayer in many ways & the more I learn, the more I firmly believe that this is healthcare in the way God intended. Oils are mentioned frequently in the Bible for their healing benefits, use in ceremony, and for fragrances and oils were commonly used for medicinal purposes for thousands of years. David used oils, Jesus used oils, Solomon too. In Exodus, there is specific directions on what oil blend to use for ceremonial purposes. This is not a NEW trend, but an old practice recently becoming popular again, as people are trying to put their health back into their own hands! Using doTerra oils is changing how we think about healthcare and pharmaceuticals. At the first sign of an illness, I turn to my oil book and research and treat my kids (and myself) as I see fit. I can treat them naturally, easily, and quickly with oils, rather than waiting for a doctor’s visit to get a prescription that then kills all the good stuff in my kids system along with the bad germs. With the oils, I can begin the healing process before the bugs have a chance to really take hold. I can give it to them on a Friday night and not worry about how much the Urgent Care visit is going to cost me. And usually by Monday, the issue has resolved and no visit is needed. Yay! Cost is a big factor in many people NOT getting into the regular use of essential oils. But really, one visit to Urgent Care (appox $150 plus meds) costs most people MORE than the cost of the doTerra Family Physician Kit ($125). This kit is a great range of 10 oils that cover a myriad of the most common issues families have. It’s a great starter pack, to “test the waters,” (or perhaps ‘test the oils’) and see if you can mentally make the change. It really is a mental shift. Learning how the oils work, what they do, and how to blend them is definitely a process, if not an art. You are literally putting your healthcare into the palm of your hand. You are not tied to the medicine cabinet, to the drugs available, and the horrible taste, side effects or cost. 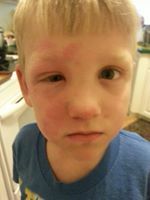 Devin had a bad case of poison ivy this summer while I was out of town (and I had brought the oils with me). His face got extremely swollen, so much that his eye was almost swollen shut. Joey had to take a day off work, bring him to the doctor, and get 2 prescriptions for him before it could get under control. 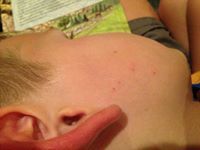 Then, about a week after it finally cleared up, he had a secondary reaction of hives that required 2 more prescriptions and another doctor visit. This one small scratch of poison ivy cost us well over $250 in doctor costs, multiple daily prescriptions and several weeks of suffering through poison ivy, hives and rashes for the little man. A month or two later, he got a similar scratch, about 4″ long on his cheek. It started to puff up, and I could tell it was again poison ivy. This time I was prepared, and applied doTerra’s Joyful Blend and Calming Blend on the scratch 3-4 times a day, as a soon as we found it (on a Saturday of course). After 3 days, you could not even see the scratch, all that was left was a few small scabs from D scratching the itch, and no residual swelling or hives. Cost: $67 total cost for the two bottles (about .13 a drop x 32 drops = $4.28 total cost. I already had the oils in my stash, so no late night stress, instead, he had immediate relief. And I had no worries about overdosing/missed dosing/mixing meds. In this particular case the cost comparison is: essential oils $4.28 vs. traditional medicine $250. A more than 98% savings. Do you think oils are expensive now??!! It is hard for the beginner to understand the potency of the oils in that little ‘expensive’ bottle. But with 250 drops in a 15ml bottle, and dosage of 2-3 drops on average, that ‘expensive’ bottle becomes very cheap per dose. Average cost per bottle is $20 at 2.5 drops per dose = 100 doses per bottle at a cost of $.20 per dose. Compare that to a bottle of children’s benadryl. A 4 oz bottle, 12 2t doses @ $6 per bottle. Cost = $.50 dose. The oils are less than HALF the cost of the over the counter medicine! AND the oils typically work quicker and have less side effects, AND the bottle will last longer due to many more doses per bottle. PLUS one oil has many uses, so it’s much more flexible to use. Can you see why our family has Made The Oil Change? If you are interested in making the change with us, let me know. I’d love to share with you how oils can help promote health and wellness in your family. 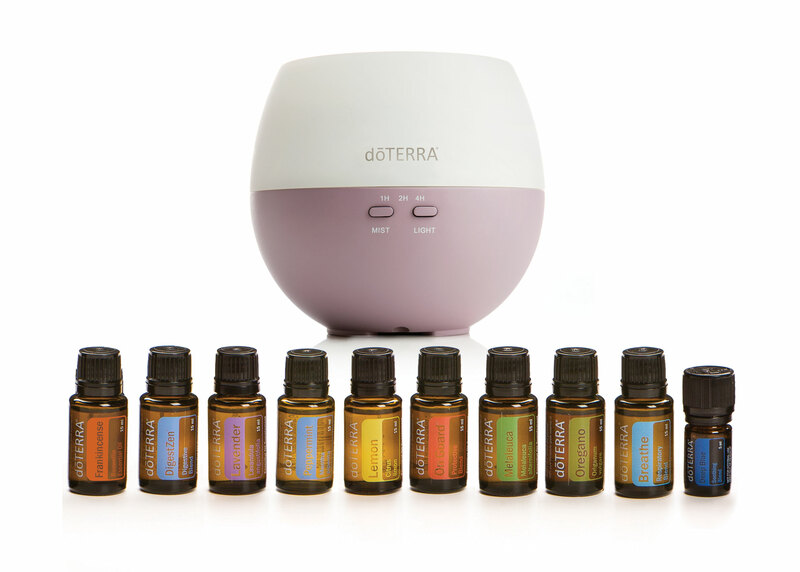 You can poke around on my doTerra website if you’re curious (mydoterra.com/maketheoilchange), or join my Facebook group (Make the Oil Change) but please call or message me before you order! I want to be sure you are getting the best oils for your needs at the best pricing. I hope you will join us in Making The Oil Change!